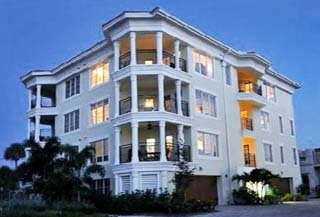 Acquiring a condo unit at the Beach Villas, Siesta Key, Florida, is an opportunity that would be very hard to pass up, given the resources and circumstances. For who could resist the chance of waking up in the morning and be greeted by the splendor of the world famous Siesta Beach just across this condominium complex? Beach Villa condo residents are immersed in an enviable sea coast lifestyle so vividly etched in the 40-acre paradise that is Siesta Beach. Trademark to Siesta Key is it sugar powdery and immaculately white sand, assayed to be of 99.9% pure quartz that provide a cool surface for the beachcombers lured by such a rare locale. Such beach promenades are also very likely to graduate to the many water-based and water-borne recreational offerings of Siesta Beach—boating, sailing, scuba-diving, and fishing. Classy commercial establishments in Siesta Key are also nearby to help ensure that residents of Beach Villas and its neighborhoods wake up on the right side of the bed. These include the restaurants, shops and entertainment venues at the nearby Siesta Key Village, a friendly town center at this barrier island off Sarasota, Florida. But most importantly, prospective buyers Beach Villas condos for sale can relish the fact that this condominium is the newest in the Siesta Beach area. It consists of an easily manageable conglomerate of twenty-two units. The spacious living spaces within each of the Beach Villas condos for sale range from 1400 square feet to 4800 square feet, respectively providing two-bedroom/two-bath and four-bedroom/four-and-a-half-bath floor plan layouts. These options are priced between $1.45 million and $595,000 with the average price at a little over the $1 million level. Such premium values attached to the Beach Villas certainly extends beyond the condos’ amenities and the many wonderful attractions of Siesta Key. Centers for business, arts, culture, sports and entertainment are just across the two bridges linking the barrier island to the nearby city of Sarasota that promise even more exciting wakeful hours for those at the Beach Villas.